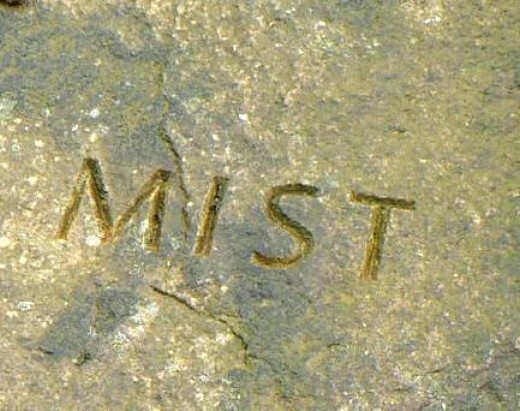 ‘Mist’ is one of six poems, on the theme of water, all carved in stone, and located on moorland in the South Pennines area of West Yorkshire. 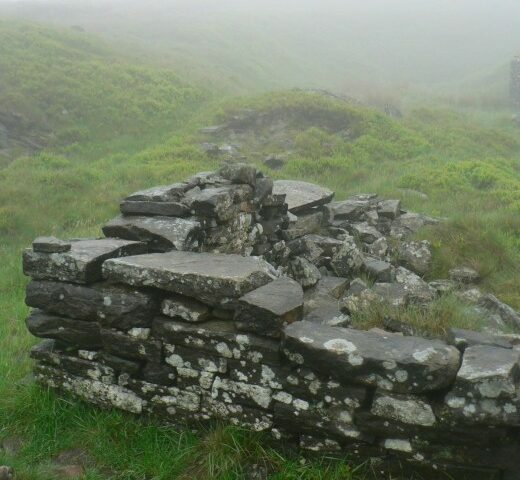 This article describes my walk, past cairns and old quarry workings, to the ‘The Mist Stone’, high and remote above the village of Oxenhope. Images: all photographs taken by me. 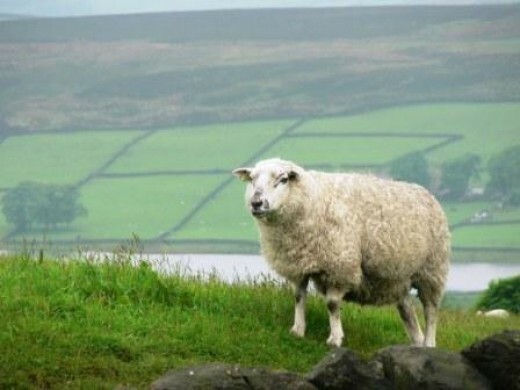 There are four stages of wetness in Yorkshire. First, with sinking heart, you feel the rain beating down on your hooded head. Second, you are conscious of the wet seeping slowly, insidiously, through your outer clothes. 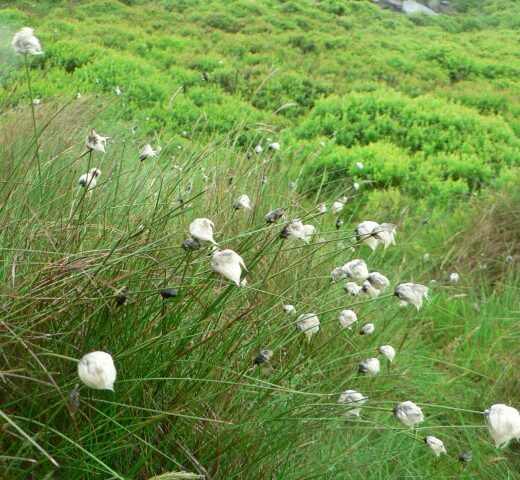 Third, is the cold heaviness from trousers, shirt, underwear, clinging like limpets to your skin. Water drips down your collar, mists your glasses, penetrates your boots, congeals your socks. 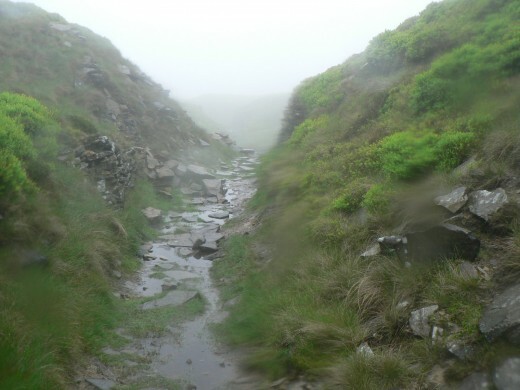 Last stage – if you are still daft enough to be trudging on – is the beyond wet, ‘what the heck’; ‘just get on with it’; ‘it’s just water’, phase of resignation. 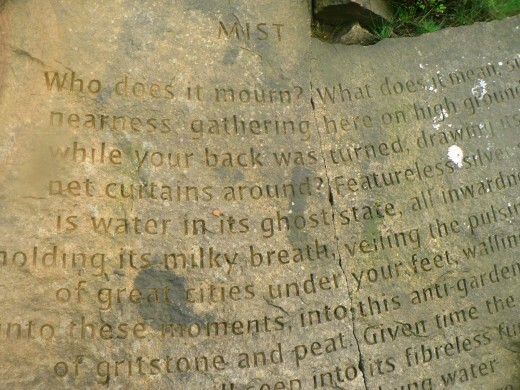 I had come to Nab Hill, high on the moors above the West Yorkshire village of Oxenhope, in search of ‘The Mist Stone’, one of the six individual ‘Stanza Stones’: poems, all on the theme of water, and all carved in rock and located in remote places around the South Pennines. I had already visited three of these (see my other HubPage articles), but this one was the most difficult to locate and reach so far. 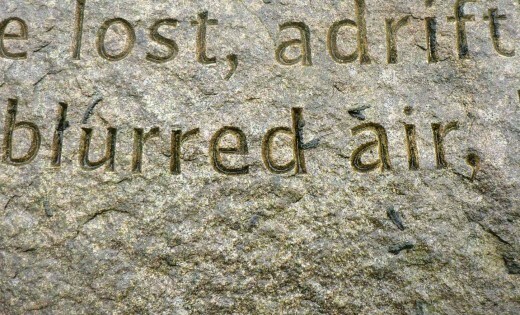 The Stanza Stones poems were written by Yorkshire poet, Simon Armitage, and carved in stone – ten minutes per letter – by stone artist, Pip Hall. 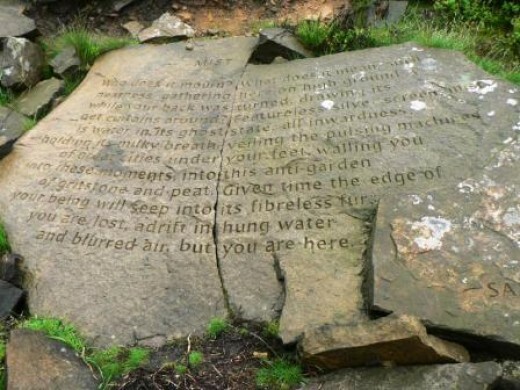 All the poems celebrate water in one of its forms – of which there is an abundance in Yorkshire – and were commissioned by the Ilkley Literature Festival to commemorate the 2012 Olympic Games in London. 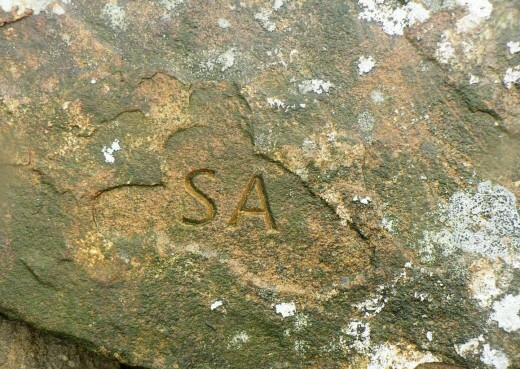 Three of the stones are relatively close to each other on Ilkley Moor, but the remaining three, including this one, are some distance apart from each other, but all adjacent to public footpaths across moorland. 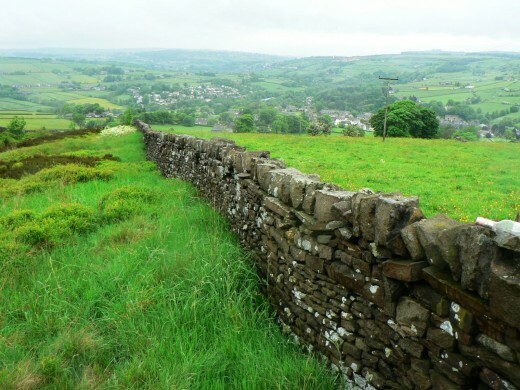 There is a seventh stone, bearing the simple inscription: ‘In Memory of Water’, which was placed in a secret beck-side location and is yet to be found. The day had shown promise when I left home, but now rain was falling relentlessly as I arrived at Nab Hill. 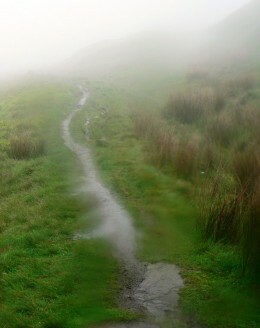 And, aptly, a mist was casting its shroud across the hillside. 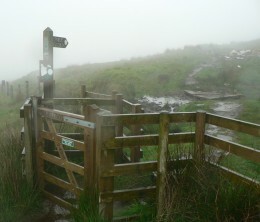 By a footpath sign, a gate opened onto a steep and muddy track that rose then vanished into the grey veil. 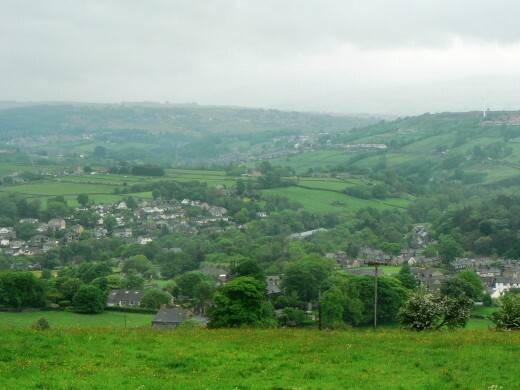 On a fine day you can see the Bronte village of Haworth in the far distance, and in the valley immediately below is the attractive Pennine village of Oxenhope, with its reservoir, stone houses huddled together, and solid church. 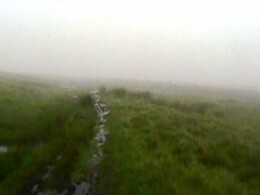 But it was not a fine day, and visibility had fallen to a few yards as the mist enveloped the hillside. There is a wild, raw beauty about this place. 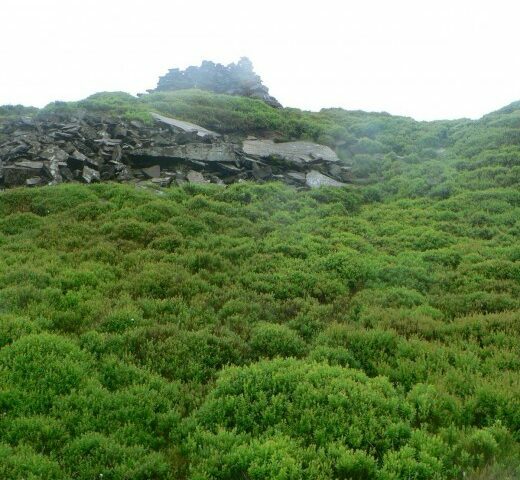 The landscape here is battered and rutted, with much evidence of Man all around, particularly with the abandoned quarry workings, remains of stone buildings, and scattered heaps of slate and rock piled and seemingly left in a ‘Mary Celeste’ abandonment. 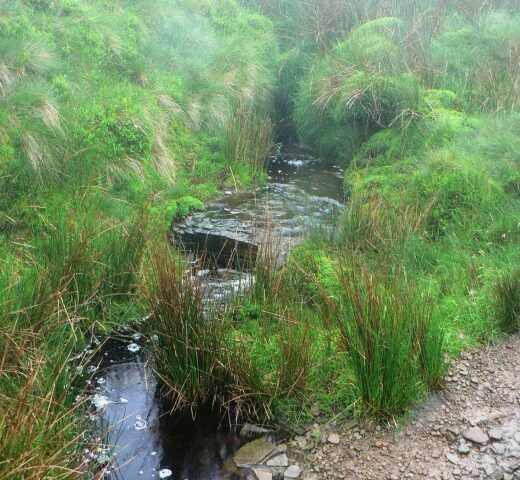 Water is everywhere, springing up, along and down all creases, rucks and fissures in the hillside. 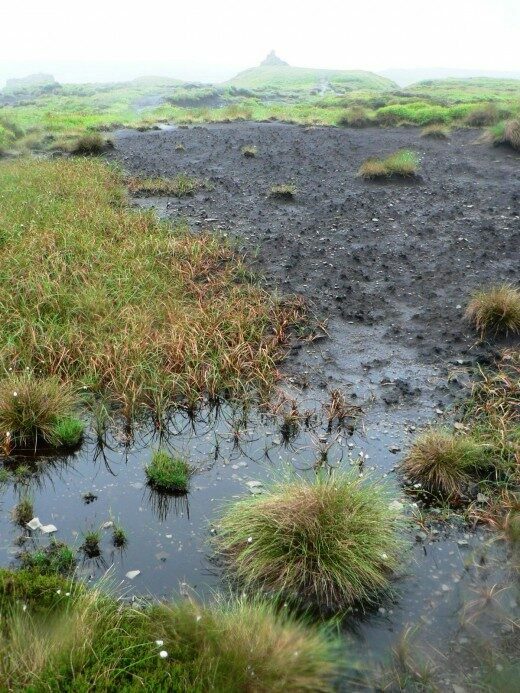 It turns the ground to a black quagmire and the grass off path into a sucking, grabbing bog. I climbed up into this grey curtain and the road behind me disappeared. Was it still there? 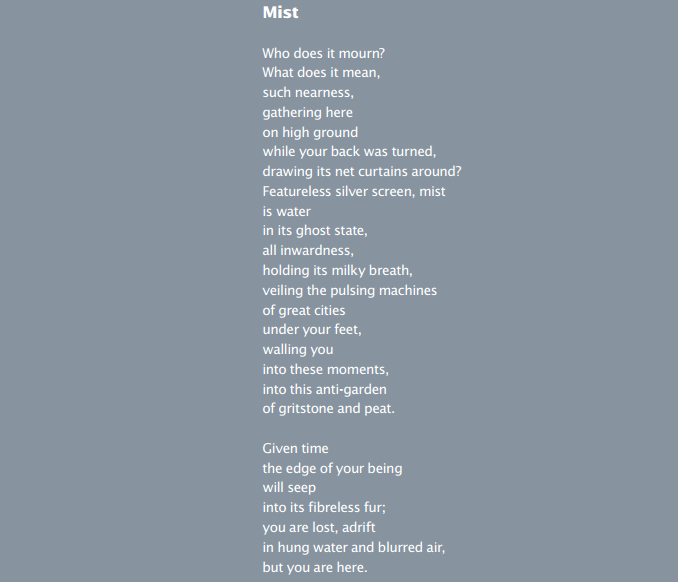 Suddenly the poem, ‘Mist’ made perfect sense. My guide book told me that the stones were 400 metres or so from the road. But the mist had made me lose all sense of distance. 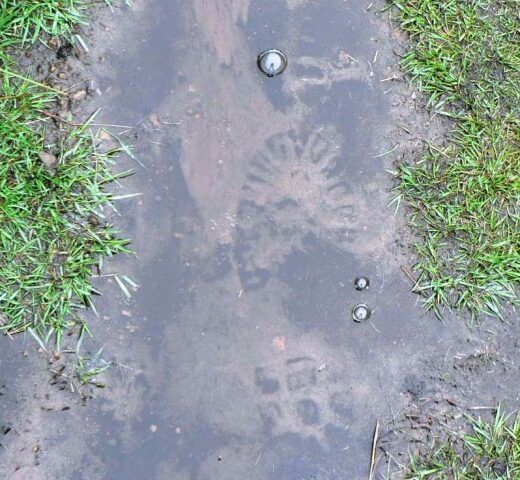 I walked on, and on, gradually realising I had come too far. I could see nothing in front, to the sides or back of me beyond a few yards. At the far side of my imagination, a precursor feeling to panic began to rise. My wetness had reached ‘stage three’ too; I thought of abandoning my search. But I began to understand the final line of the poem: ‘But you are here.’ You may feel ‘lost, adrift, In hung water and blurred air’. But …’you are here’. There was an earthly reality to where I was, and it was just a matter of following my own footprints, Yeti-style, back from where I came. This I did; then two local men with dogs suddenly materialised on the path ahead. They looked blankly at me; they had never heard of the Stanza Stones. ‘Now’t like that round here’, said one. ‘It’s near a cairn’ I said. At this, the mist lifted for them, and literally around us all, and they pointed back and to the right of the path. 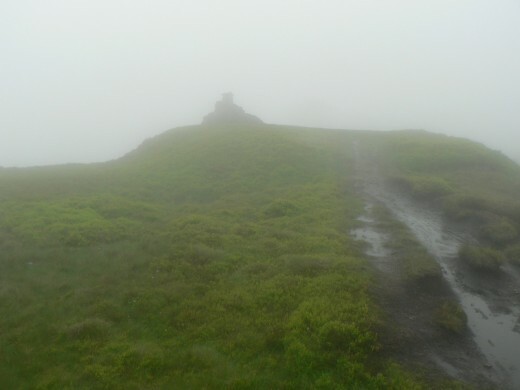 I followed their direction and the cairn rose in front of me, the mist rolling away from it. There was also a helpful ‘Stanza Stones’ direction sign that I had missed. 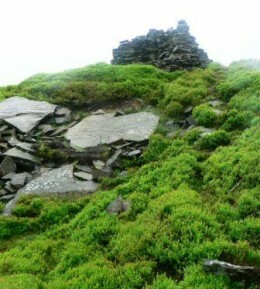 The cairn overlooks Oxenhope in the valley below. 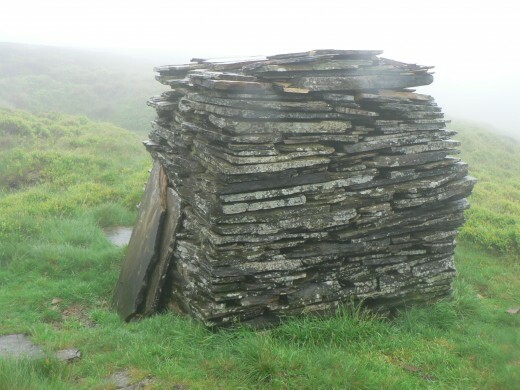 Immediately beneath the cairn, in a depression in the ground, is the ‘Mist Stone’. 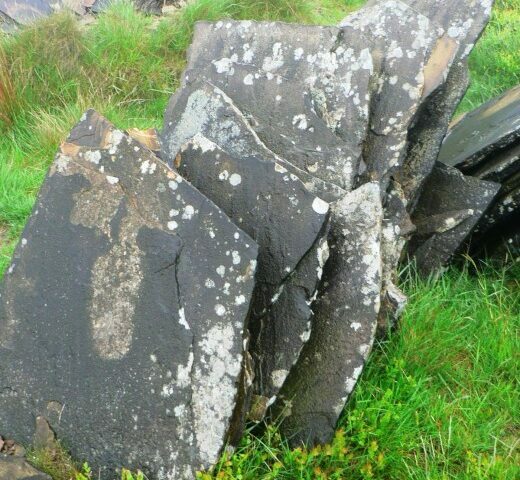 But it is not one whole stone, but two halves of one, as the original chosen by Pip Hall broke into two pieces as it was being laid in position. She was obliged to carve the two parts independently and then reposition them to read as one; no mean feat. Pip Hall later wrote about the process: “The odd angles at which the two halves have been positioned means that drawing consistently carved guidelines involves a certain amount of guesswork, despite endless remeasuring and checking”. 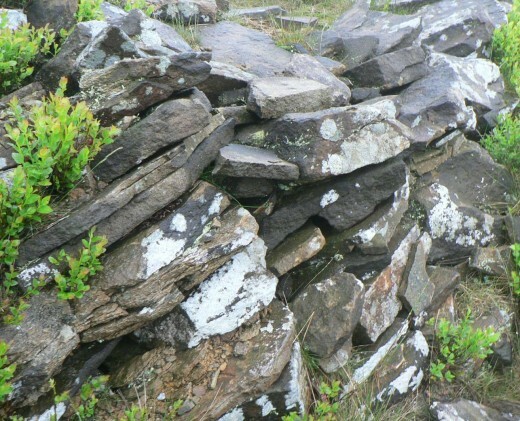 The stones are laid at a 45 degree angle to the hillside, on a steep slope, and putting them into position must have been a difficult task for the team. 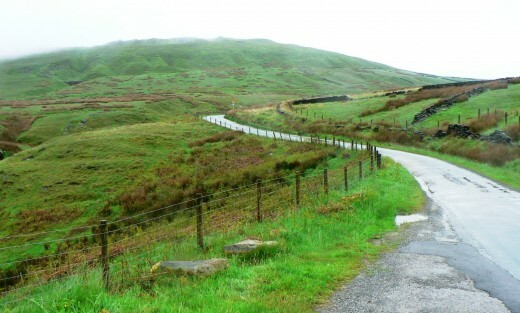 The mist lifted and Oxenhope, the roadway below, and the nearby sails of the electricity windmills came into view. The landscape that had seemed earlier to be so menacing lost its ‘ghostly state’ and became gloriously, recognisably, Yorkshire again. Beyond wet, but thinking of the warmth of home, I drove back the way I came. 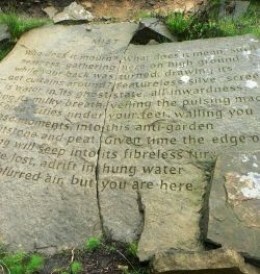 Yorkshire poet, Simon Armitage, talks about the Stanza Stones. Find out more about Pip Hall, stone artist, who carved the Stanza Stones.